A popular Kodi add-on, Navi-X, has shut down, citing legal concerns around the popular video streaming service. 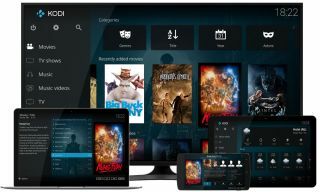 In recent weeks the European Court of Justice has ruled that the sale of so-called ‘fully loaded’ Kodi boxes, which are set up to explicitly enable piracy, is illegal and punishable by up to 10 years in prison. However, despite these legal concerns, Navi-X has confirmed that it’s shutting down voluntarily rather than having been forced to. Navi-X is an add-on for Kodi that aggregates free video content. It offers tens of thousands of TV shows and movies that can be accessed at no cost. While Kodi itself does not enable piracy, add-ons such as Navi-X can be used to access copyrighted content. A useful analogy is to see Kodi as the Chrome to Navi-X’s Pirate Bay. You use Chrome to access The Pirate Bay, but ultimately Google is not responsible for the pirated content contained on that site. In a similar way, Kodi doesn’t itself enable the piracy. If you’re looking to use the software yourself, then check out our guide to the best Kodi boxes.